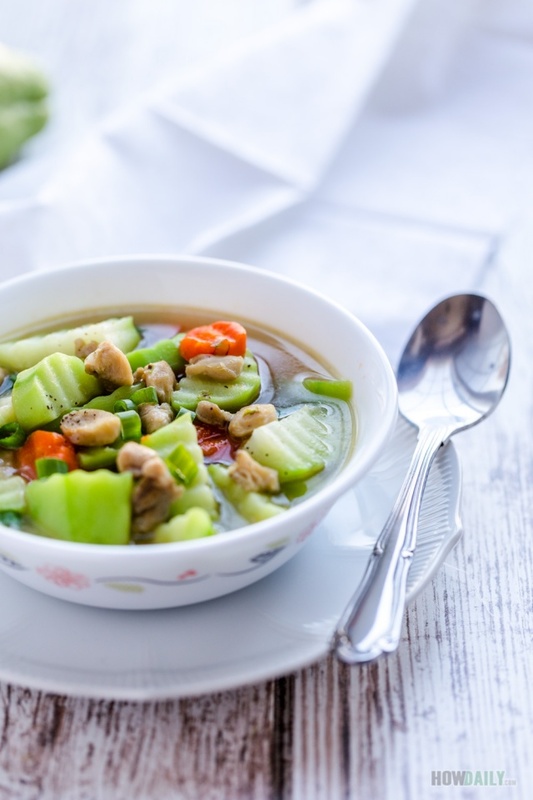 A light, warm and hearty soup always is the most welcome during this cold season. 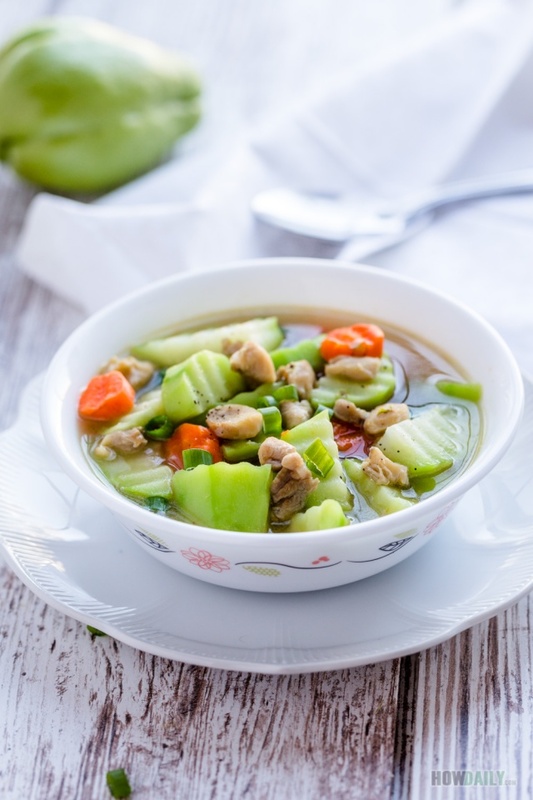 Combine of only few ingredients, this chayote squash chicken soup will surely replenish your skin and body from all the dehydration. For this soup, any type of meat would work. However for more crunch, use the rib meat or those with tendon intact, or simply boiled some skinless drum sticks. Also searing chicken before adding soup will help them absorb the aromatic and keep the flavor in. 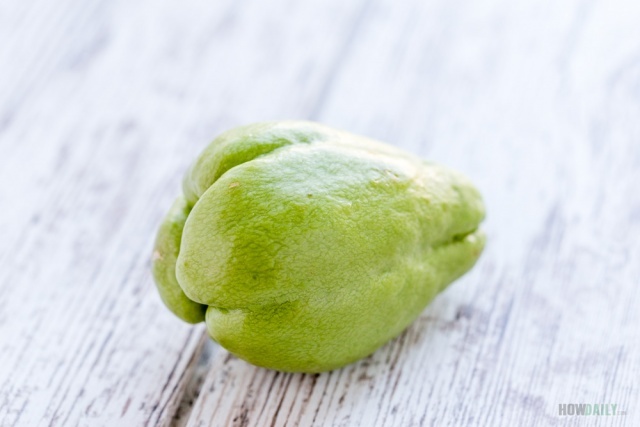 You should always try to pick the youngest chayote squash as they will be less grain and skinny stuff. Just remember that chayote will be cooked fast, so only add them to the very end. 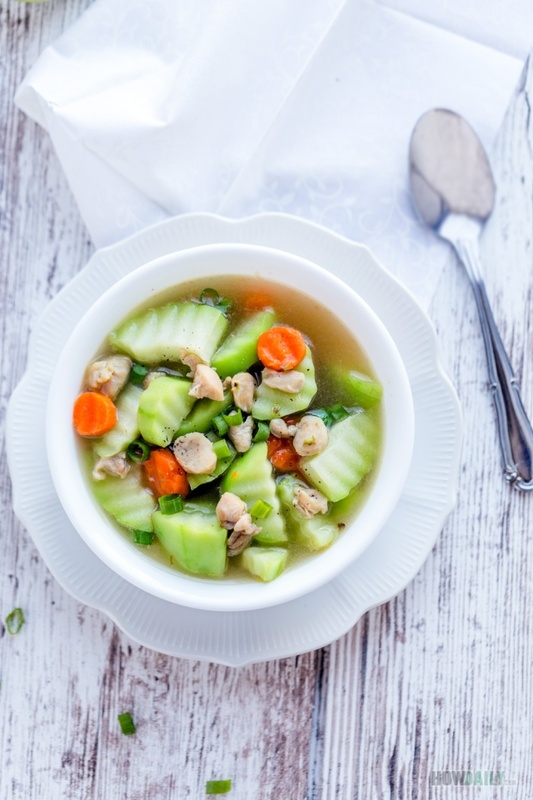 Light, simple and healthy chayote squash chicken soup to supplement your body of vitamins and minerals against the cold weather outside. 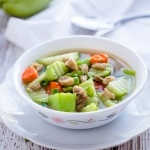 Served as light lunch or side soup along your other favorites. Finely chop scallion, separate green and white parts. Remove skin, seeds, then wash chayote squash and carrot. Cut into bite size or desired chunks. Place your pot over medium-high heat. Add 1 Tbsp of oil and stir to coat pot bottom. Add the white parts of scallion and saute for 3 minutes or until soft. Add chicken into pot, sit till meat become opaque white on the outside, then pour in chicken broth. Add carrot chunks, bring to boil then add chayote. Adjust season to taste. When carrot/chayote is at desired tenderness, add remaining chopped scallion and finely mined cilantro. Sprinkle some ground pepper and remove from heat.